How to tune in to the next big Twitch Rivals event. On this page you'll find the Twitch Rivals Apex Legends Challenge stream, start times, dates and confirmed participants. 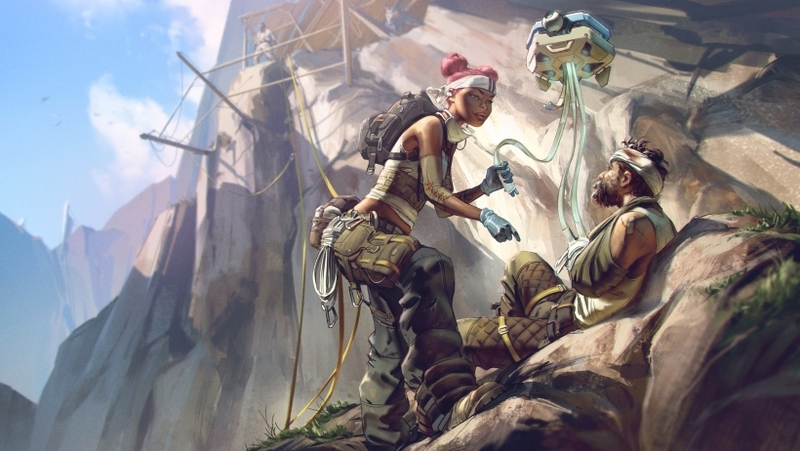 Another Twitch Rivals event is coming up on the horizon, this time taking in the phenomenally successful new battle royale game Apex Legends. Produced in collaboration between Twitch and the developers Respawn, the Apex Legends Challenge will see 48 well-known streamers knocking seven bells out of each other for their piece of a $200,000 prize pool. As with similar Twitch Rivals events, the prize money will be split equally between both the European and North American regions. There'll also be two separate competitions per region, and taking place on both days, so each of the four tournaments in total have a $50,000 prize pool. The prize money will then be split between the best-performing teams within each tournament. There are two stages to the competition. On each of these days there'll be a clash between the North American teams, and a separate battle for the European participants to tuck into. The European matches will take place first, with the North American matches following immediately afterwards. As there are two regions, there'll be 24 competitors taking part per region. Those 24 will further be split down into groups of three, as per the game's standard play mode. So, eight teams of three players on each of the competition's regions. Points will then be tallied up to determine the finishing position of each team. So far we know of a number of well-known streamers who have announced their participation in this new event. So, still a good chunk of names to be added to the pile. Check back soon for more details on this front.